Let's be honest: the Batmobile is a major reason kids love Batman. 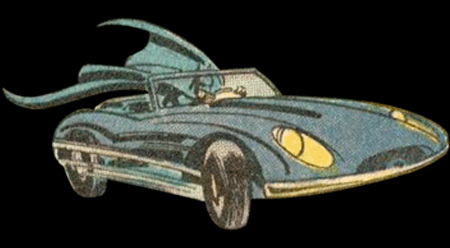 You could even make an argument that, if not for the car that's always awesome in any iteration, Batman is basically just another caped crusader running around dressed as a rat with wings. Over the years, dozens upon dozens of Batmobiles have roamed the streets of Gotham, including some based on classics like the Jaguar E-Type and the Lamborghini Countach, but most of them only ever existed in comic book, cartoon, or video game form. These here are all of the real Batmobiles, dating back to the 1940s, ranked. This was Bruce Wayne's daily driver. Most of the time he cruised with the top down, until it was showtime, when the top went up. Yeah. It was a bone-stock mid-level car that anyone could own. Amazingly, it wasn't even black. Maroon + no special features = meh, ya know? At the height of World War II, a 15-piece serial was produced with the aim of showing cliffhanger after cliffhanger. It was all about Batman defending Gotham from an evil Japanese scientist (because WWII), and the car was every bit as stock as that Mercury. At least it was a Cadillac, though, and at least it was black. Better. This is what Batman's midlife crisis looks like. Just about everything on this car is more obvious than a balding 55-year-old guy with a girlfriend 30 years his junior riding shotgun in his Corvette. Lights under the car and in the rims? Why would Bruce Wayne let a middle school kid add bling to his ride? Exploding was the best thing this car ever did. If anything, the next Batmobile was even more ostentatious than the previous monstrosity. 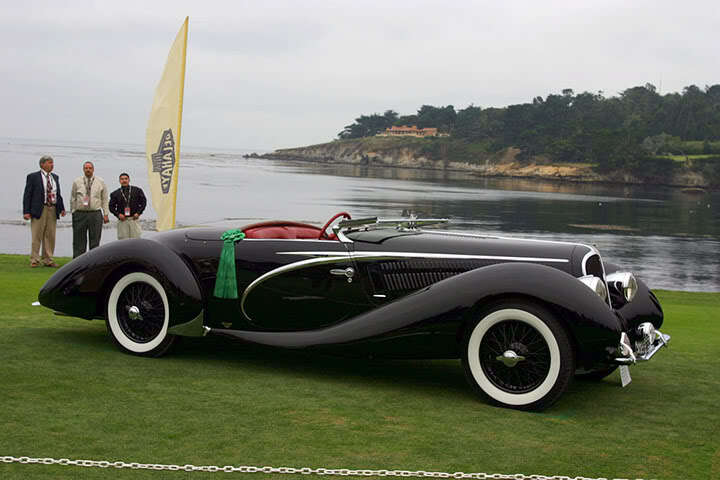 It's better though, for two reasons: 1) It was designed, at least in part, to pay homage to the also-outlandish Delahayes of the 1930s, and 2) it was real. The production crew actually road tested the car to 140 mph. That would be amazing to see closing up in your rear view mirror. Hey, it's an undeniable fact that the Tumbler is awesome—more on that in a second—but the whole point of camouflage is to blend a vehicle into its surroundings. On a city street, it's even less subtle than Arnold Schwarzenegger's Hummer. Contrary to popular belief, this wasn't the first Batmobile, but it's undoubtedly the most important. Hollywood legend George Barris was given so little time to make the car that he took a decade-old concept car, the Lincoln Futura, made what really amounted to just a few minor cosmetic changes, and made history. The Tumbler doesn't even look like a car, but it's actually real. Ish. The working prototype can hit 60 mph faster than most road-going cars and the movie version has a vertical leap of 30 feet. Add in an array of weapons, gadgets, and features that would make James Bond blush, and you've got one seriously impressive Batmobile. When you make a car that's part 1930s art deco masterpiece and part 1980s land speed record car, you've got a winner. It's a stunning beauty that just has the look. Would it win a head to head battle against the Tumbler? Of course not. Then again, a new Camry can keep up with a Shelby GT350 off the line. Which would you rather have? Aaron Miller is the Rides editor for Supercompressor, and can be found on Twitter. He never realized how closely related the best Batmobile is to the Thrust2 jet propelled car.